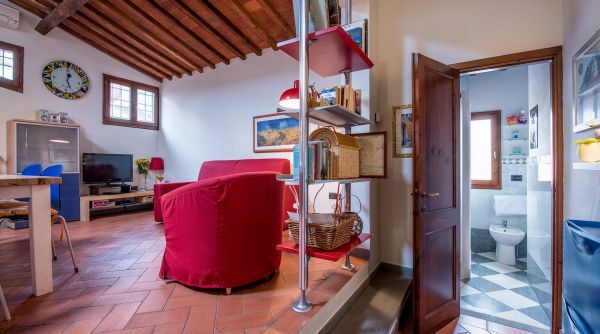 Located on the top floor (4th floor, no elevator) of a historical building in the heart of Florence, the apartment boasts spectacular views onto the Cappelle Medicee, one of Florence's most recognizable historic landmarks. 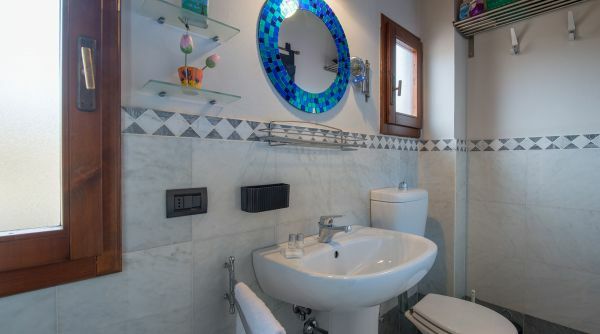 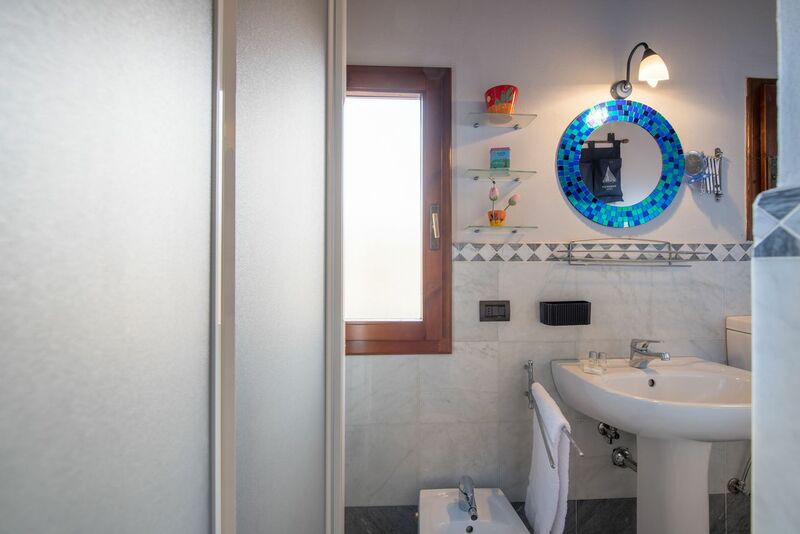 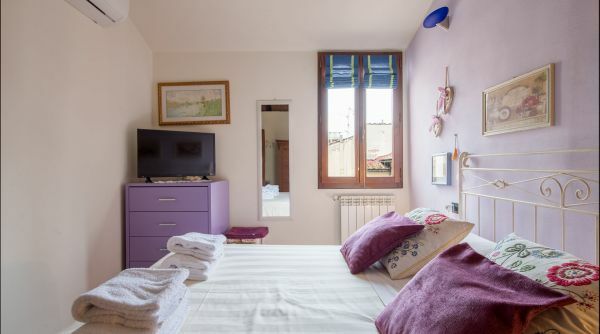 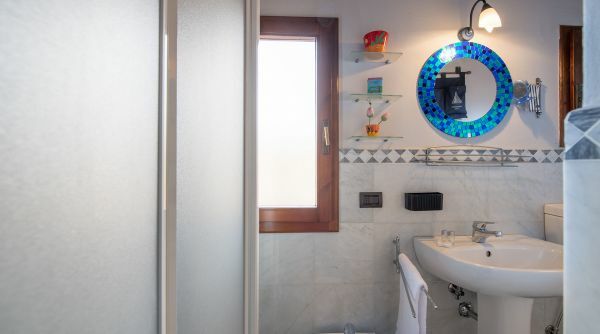 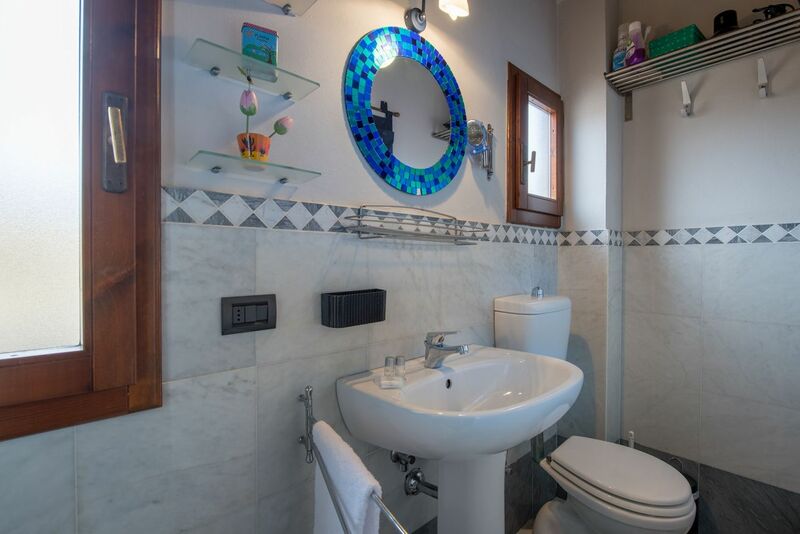 Less than a 5 minute walk to the city's central train station and only 400 metres to the Duomo, the location allows guest the convenience of easily accessing the major monuments and transport of the city. 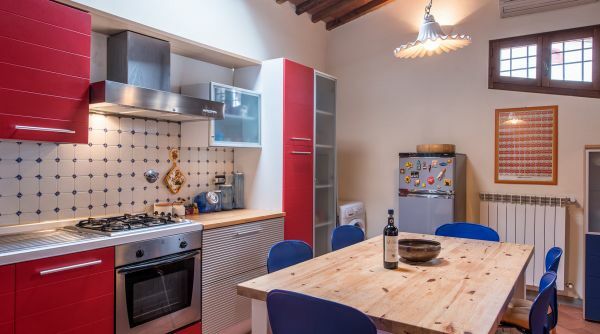 The apartment can comfortably host up to 4 guests thanks to the ample kitchen/living room that includes a double sofa bed. 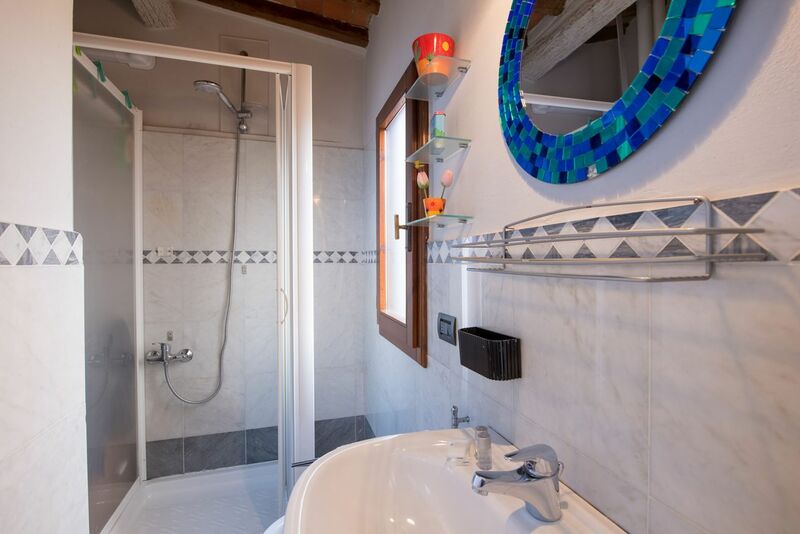 It is spacious and fully equipped with an electric oven and a washing machine and full bathroom fitted with a bathtub with shower. 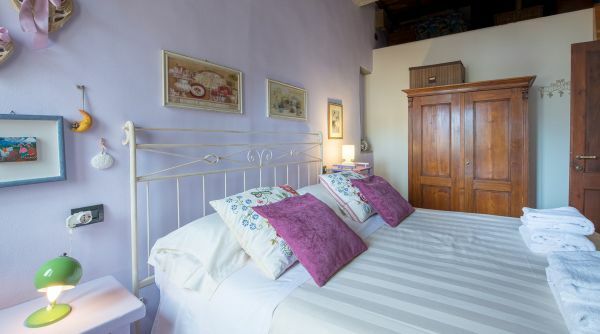 The cozy double bedroom provides a tranquil space away from the bustling streets below. 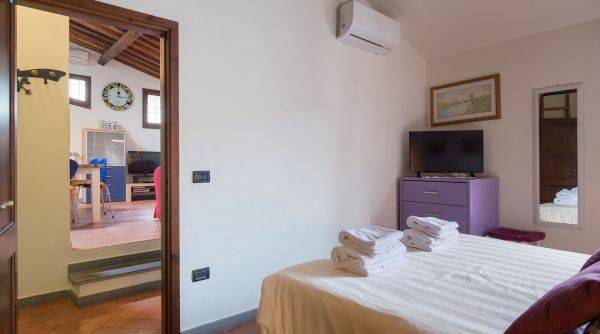 The space will charm guests with its ypical Tuscan style wooden beams and terracotta bricks while providing every comfort; here you will find internet Wi-Fi, air conditioning and independent heating. 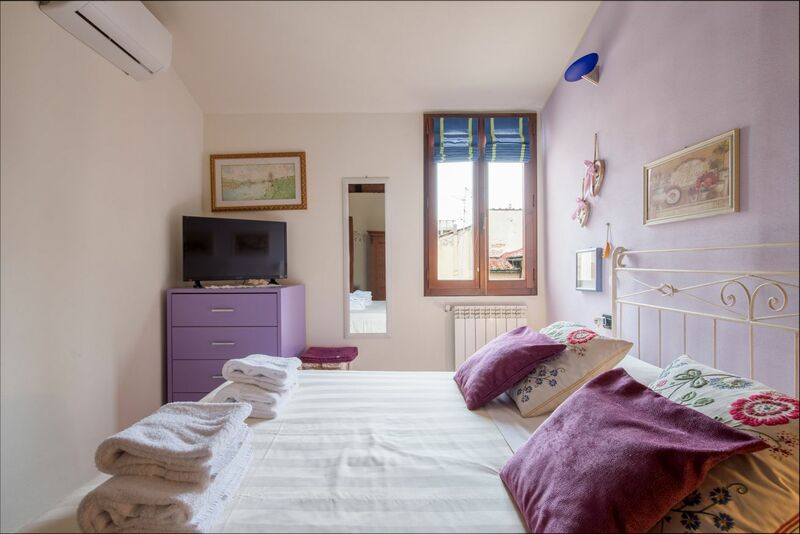 The apartment is located into the heart of the city center halfway between the central station of Santa Maria Novella and the Duomo. 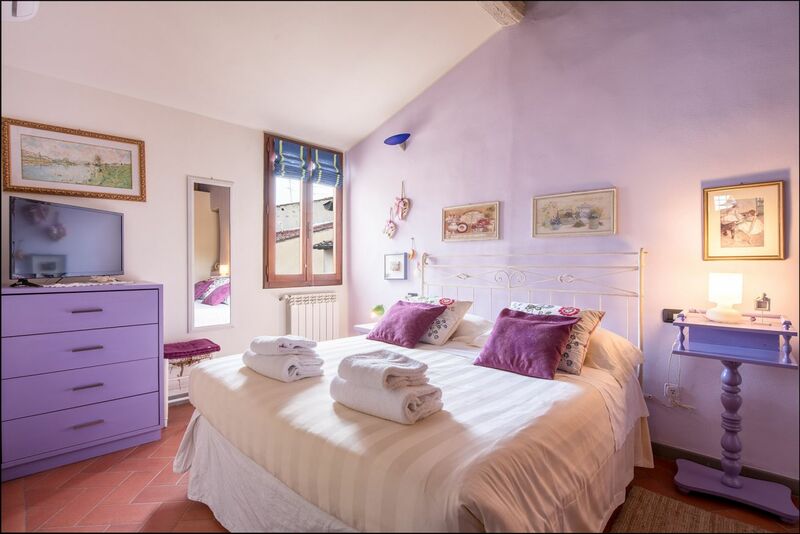 From its windows you can enjoy a beautiful view on the Cappelle Medicee, one of the most important monuments of Florence. 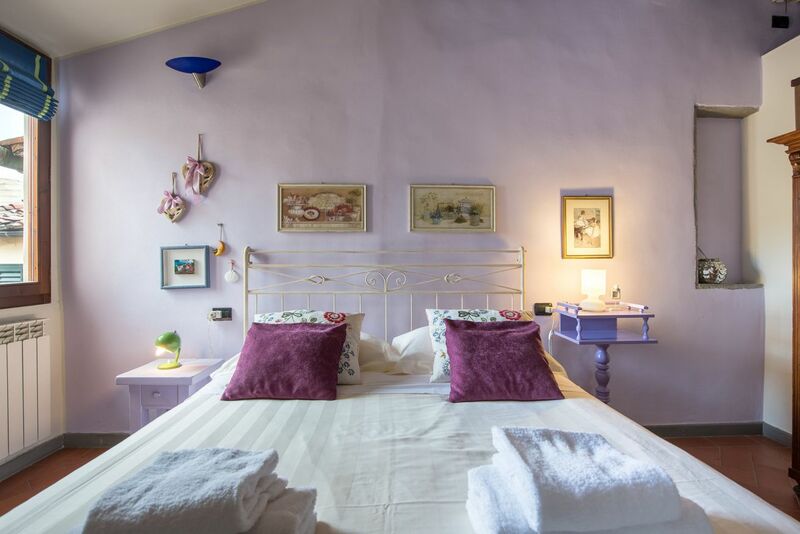 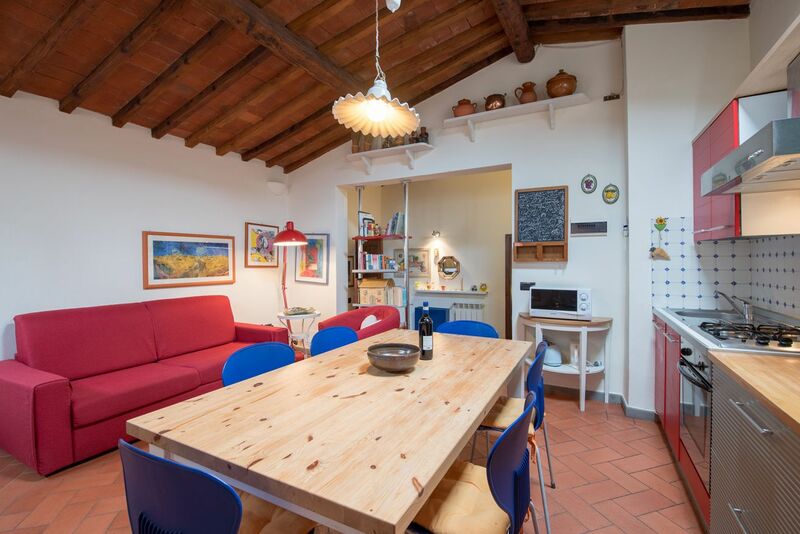 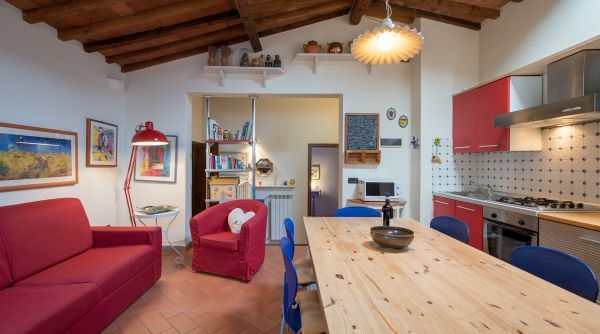 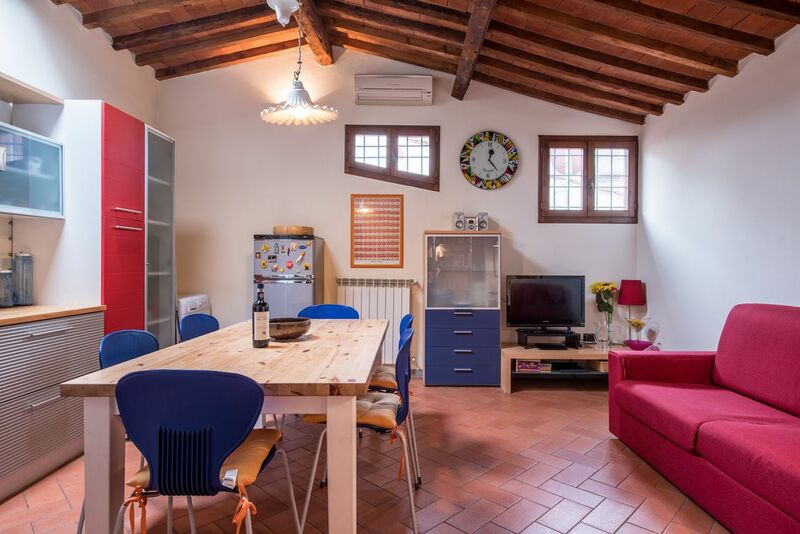 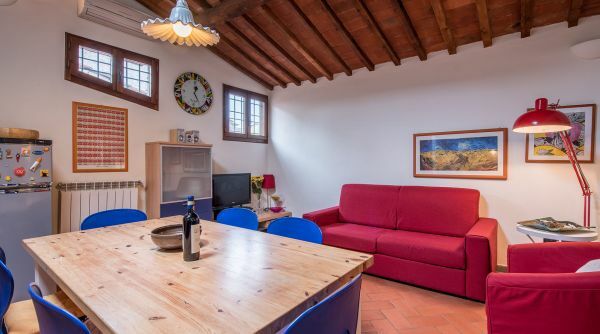 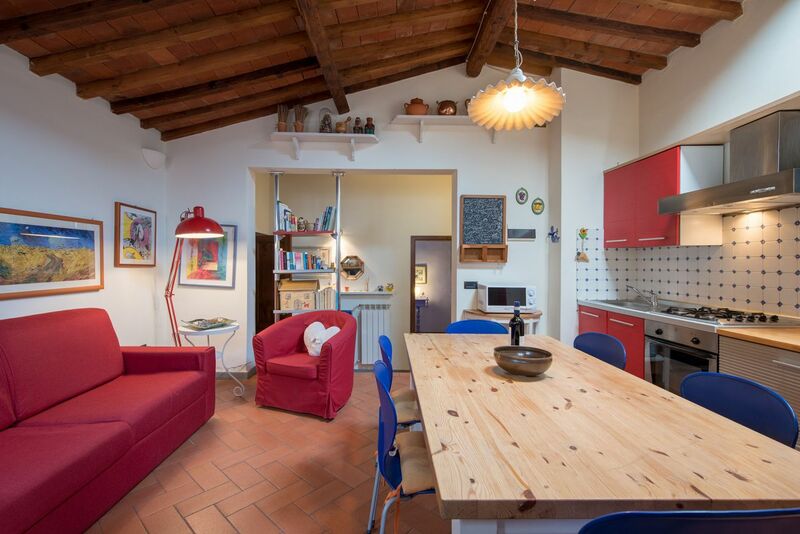 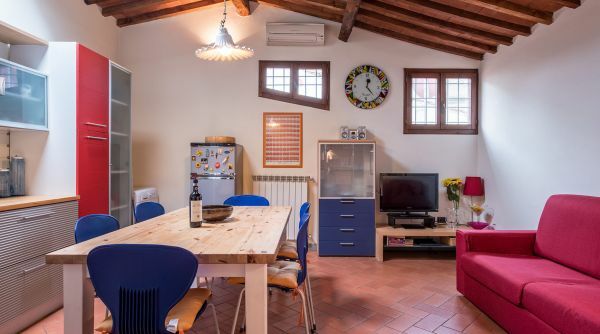 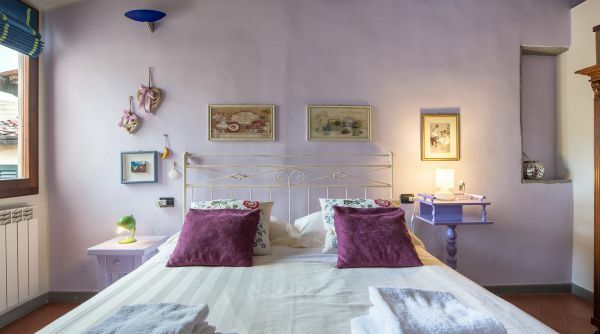 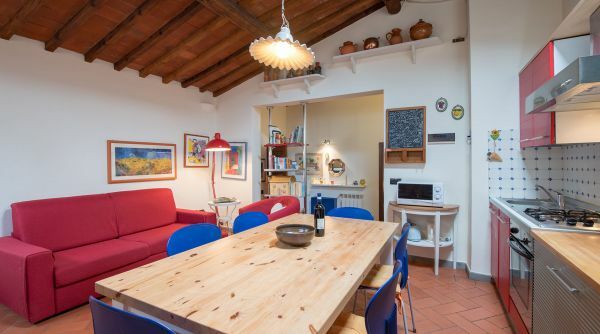 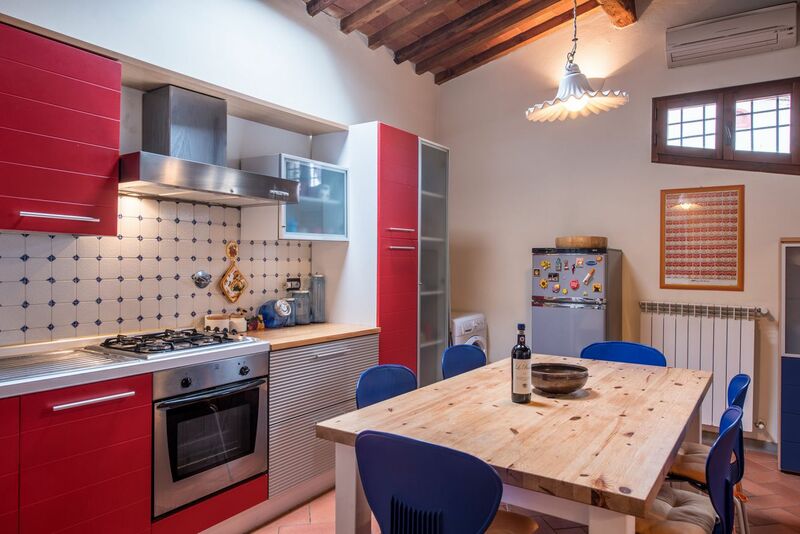 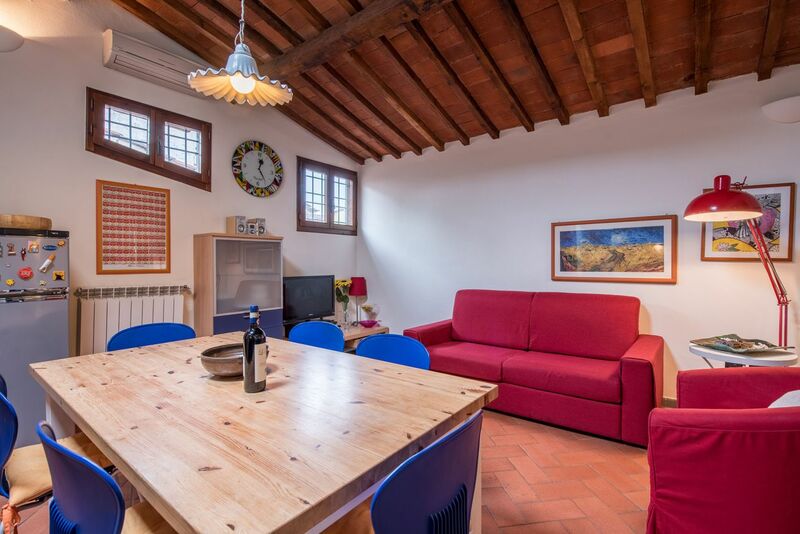 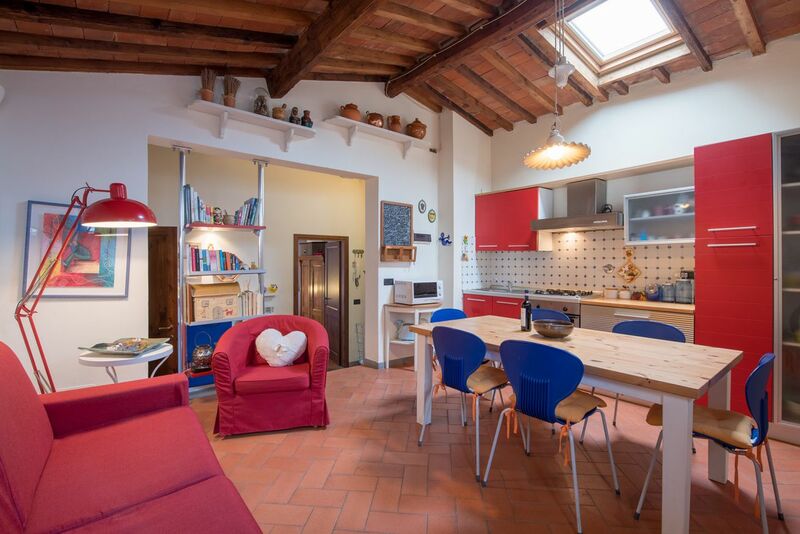 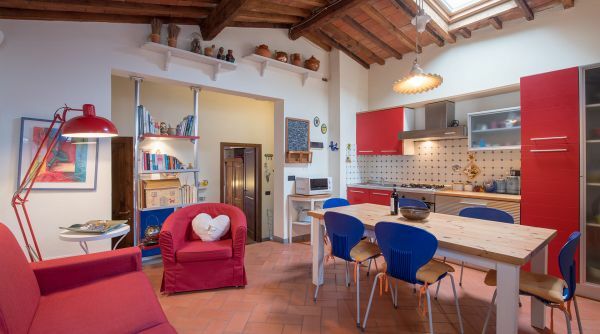 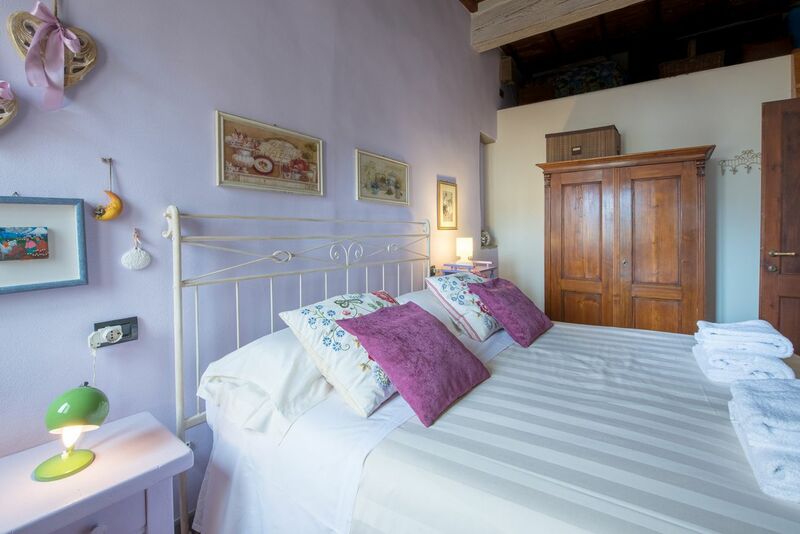 The house is in an excellent position near all the museums and close to the Mercato Centrale, a big market, recently renovated, where you can buy and taste many tasty tuscan foods. 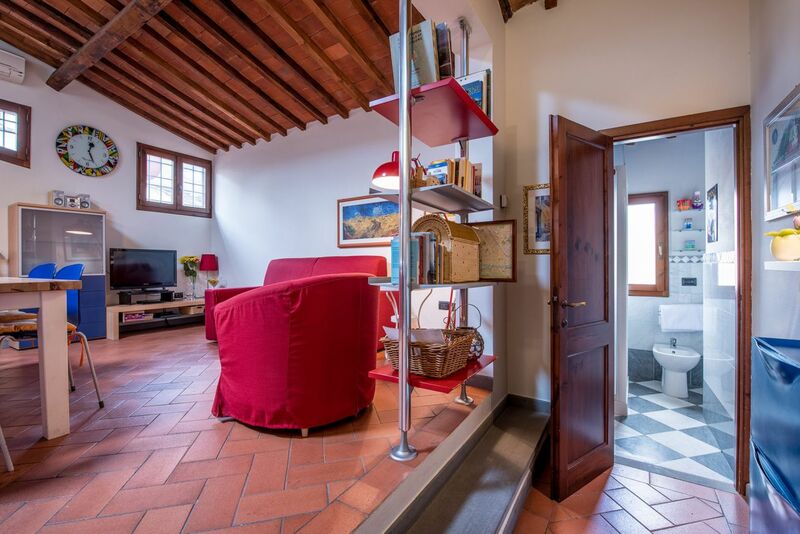 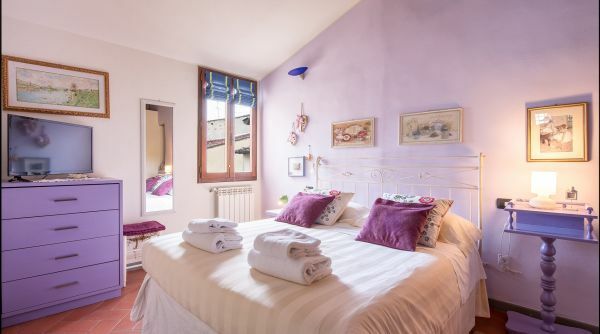 This apartment is only 5 minutes by foot to the central station of Santa Maria Novella. 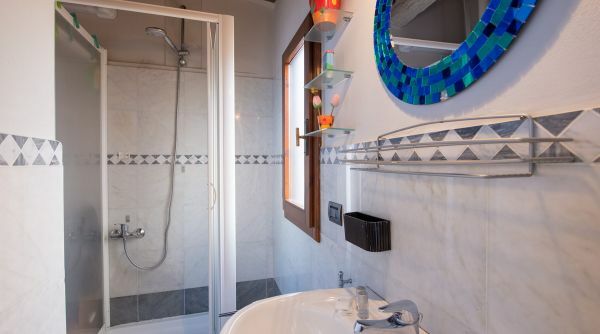 Alternatively, near this train station you can also catch a cab to get to the apartment in few minutes.